Before he graduated from Jorge Tadeo Lozano's University with a publicist degree, singer/songwriter Carlos Vives joined different bands and participated in several plays. In 1982, the artist got a role in the Colombian TV series Tiempo Sin Huella, starting his successful acting career, later extending his professional skills to the Puerto Rican television. After participating in some teen programs as a singer/actor, he got the main role in the telenovela (soap opera) "Gallito Ram?rez," which made him a famous actor. After participating in some teen programs as a singer/actor, he got the main role in the telenovela (soap opera) "Gallito Ram?rez," which made him a famous actor. Later, another telenovela, "Escalona" made him return to his "coste?o" roots (he was born in Santa Marta, the same town of the famous soccer player "El Pibe" Valderrama, located in the north coast of Colombia) and mainly to sing classic vallenato songs of one of the most prestigious vallenato composers, Rafael Escalona. The soundtrack of "Escalona" quickly became a major hit in radio and CD sales and allowed vallenato to conquest other colombian cities outside the "costa" (north coast) that hadn?t previously accepted it. After forming a band called La Provincia, the singer and guitarist began performing a local style known as Vallenato, successfully touring his native country, Colombia, and South America. 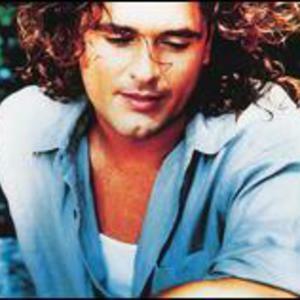 In 1994, Carlos Vives' "La Gota Fria," became his first smash, climbing on the most important music charts around Latin America. In 1996, under the slogan of Unete A Los Locales (Join the Local Ones), the talented musician created his own label, called Gaira, to promote and give an incentive to local artists like "Bloque de B?squeda" and "Distrito". His style, which mixes vallenato, rock and champeta (an African-influenced music) was then used by several Colombian artists, giving birth to the "Tropipop" movement.